Bill was born in Sargent, Nebraska, but moved to Los Angeles after graduating from high school. He attend Occidental College and upon graduation Bill taught physical education at Gage Junior High School. While working full time he attended night classes at Loyola University School of Law, earning a JD degree in four years. After practicing law for a short time in Pasadena, Bill relocated his practice to Monrovia where, eventually, as a name partner in the firm of Patten, Faith & Sandford, he completed more than fifty-five years in the active practice of law. While at Oxy Bill met Ruth Knudson, and they were married on August 23, 1942. Ruth passed away October 11, 2000, but Bill is survived by his sons, Eric (Martha) Faith & John Randall (Carol) Faith; his daughter, Shelley Faith, also by five grand children and ten great grand children. Bill was an active and beloved member in his community, serving on the boards (and often as the chair) of many local organizations. These included United Way, Lions Club, Jaycees, YMCA, Foothill Bar Association and the Monrovia Rotary Club. He was for many years an active Elder in the Monrovia Presbyterian Church where he sang a beautiful tenor in the choir. Bill died January 4, 2011 in Arcadia at the age of ninety. A memorial service celebrating Bill’s life will be held at 2:30 on Sunday, January 30, 2011 at Monrovia First Presbyterian Church (corner of Myrtle and Foothill). In lieu of flowers, please consider a gift to the City of Hope or Occidental College. Friday, November 19, 2010 at 8:00 a.m.
Ragsdale, Joseph Benjamin “Gentleman Joe” was born in Martin, Tennessee on September 2, 1911 and died peaceful in his sleep October the 9th. He was preceded in death by his parents May Bell and John Adam Ragsdale, his son Joseph Benjamin Ragsdale, Jr. and his wife of 47 years, Doris “DeeDee” Walter Baxter Ragsdale. He is survived by his brother John Adam Ragsdale, Jr. of Highland, California, daughters, Billie Dahl of Albuquerque, New Mexico, Virginia “Ginger” Anderson of Laguna Woods, California, Linda Mueller and son-in-law Jim Mueller of Flagstaff, Arizona, Daughter-in law Sherry Ragsdale of Whittier, California, Stepson John Thurlow Baxter of Prescott Arizona, 14 grandchildren, 21 great-grandchildren and 15 great, great-grandchildren, nieces and nephews. He moved his family to California during World War II when he was hired as a procurement officer at Norton AFB. After the war he went to work with Sherwin Williams Paint Co. in Monrovia where he managed the store for 30 years. Not quite ready to completely retire when Tom Adams offered him a position with Century 21 he did not hesitate as real estate was something he had always shown an interest in. Mr. Ragsdale was a long standing member of the Rotary Club of Monrovia, serving as its President in 1955/1956. Joe was very active in the board of Santa Anita Family YMCA and served with distinction during the time when it gained its independence from Pasadena in 1999. He was involved in organized real estate for many years receiving his real estate license in 1972 and continuing on until recognized as a â€œLife Memberâ€ of the California Association of Realtors . At the age of 95 Joe received a standing ovation from over 800 attendees at the Century 21 Regional Awards Dinner for achieving membership in the Masters Awards Club for that year. He is a life member of the Elks and past member of the Kiwanis . He was a long time member of the Monrovia Tennis club where he played tennis into his early 80â€™s. He was a member of the Monrovia Dance Club. He and his wife DeeDee were outstanding ballroom dancers. 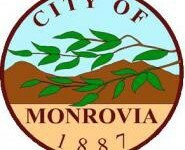 He was also active in the Monrovia Chambers of Commerce. Joe was recognized as someone of integrity. Music was a large part of his life and always in his home. He began playing the piano when he was 7 years old and later put together a band while he in college. For many years he was involved in the musical productions at Royal Oaks Manor. Joe loved house boating, camping, and fishing with family and friends and traveling the world with his wife DeeDee. He will be greatly missed by his family and friends and the community which he so dearly loved. After much work, we have unveiled our new website. Please feel free to comment on the layout and usability or if you have something else you would like to see on this site.